You've probably never thought about it before, but your coffee mug may be one of the most self-defining objects in your life. Okay, perhaps we're exaggerating, but your choice of mug does help separate the dedicated, Joe-drinking connoisseurs from the instant coffee, K-cup, clan. But not all coffee mug owners are created equal! We've identified a few major subgroups below. Check out our descriptions below to see what your mug says about you. If you think we're missing anything, let us know by following @JoyrideCoffee on Twitter or Instagram! You might be a Highway Hero if you've started to consider the Radio DJ not only your source of entertainment, but you closest best friend and occasional therapist. You're most likely the Highway Hero if you find yourself spending an unhealthy amount of time in your car, memorizing every lyric to the Top 40 on 40, or reciting certain scripts along with radio ads (For all our Bay Area readers: "In Cupertino, San Mateo, and Walnut Creek. Open weekdays until 8, Saturday and Sunday until 5, online at ShaneCo.com"). Let's be honest, commuting is a drag and caffeine is a vital tool for getting your morning started. In fact, your best friend may just be called "Cup of Joe". Coffee is always there for you when you need him, he picks you up when you're down, and most importantly, he's there to keep you company during those long hours spent in the car and office. Now if that's not a true friend, I don't know what is. So give your confidant the makeover of a lifetime: the travel mug. These mugs are usually insulated, easy to carry, and functional enough to ensure the caffeine elixir makes it into your mouth and not on your shirt. Your travel mug will keep your friend safe from the unwarranted dangers of commuting: speed bumps, sudden stops, drafty air vents, etc. So follow the golden rule and treat coffee the way coffee treats you and go buy a travel mug. For those Highway Heroes out there, we love the look of this Contigo travel coffee mug. If it could talk it would say, "I'm here for you when carpool lane is not." Drink On Freeway Flyer, Drink On! You're probably a Mountaineer if you appreciate the outdoors, simpler times without the nuisance of technology, and own at least one pair of Tevas. The Mountaineer spends most of his/her time outdoors or thinking about being outdoors. This person longs for a time when man once lived off the land, humans and nature lived symbiotically, and Starbucks did not populate virtually every square mile of the nation. The Mountaineer understands the craft and beauty behind the coffee bean and most likely does not want to waste his or her time with a mediocre, mass-produced instant coffee. Are you a "Mountaineer"? Check out our guide to backpack coffee! So how does the mountaineer appreciate the luxurious craft coffee while simultaneously backpacking the Himalayas?! Why, the camping mug of course! Whether you're at home, in the office, or backpacking in the Adirondacks, these mugs are practical and durable no matter the location. You never have to worry about these Herculean mugs shattering, breaking, or losing insulation. These camping mugs are virtually indestructible and scoff at their fragile counterparts; ceramic. These camping mugs are like your old Nokia cell phone; compact and always reliable. For those Mountaineers out there, you need a mug that will stand beside you as you climb the highest peaks of the Sierra Nevadas, Navigate the white water rapids of the Colorado River, or take on the arduous and often times, dangerous, office tasks. So Mountaineer, force your coffee to fit your lifestyle with the tin camping mug so rain or shine, inside, or outside, your coffee can come along for the adventure. You're probably a neat freak if you can't help but color-code your closet. Let's face it, you like your space clean and organized. You may be a neat freak if you consider your house an explosion of Ikea storage units. Everything you own - from your baseball caps, to your umbrellas, to the smallest paper clips - has a particular storage container. You want everything to be neat, orderly, and uniform. As a self-proclaimed neat freak you probably find great joy in cleaning and organizing. And there's nothing wrong with that. It's a challenge you almost always look forward to tackling and cannot wait for the satisfying moment when a messy room transforms into a pristine palace. For the neat freak, you probably have a set six of these ceramic mugs in a variety of pastels from Crate and Barrel. Have a busy morning? Not to worry, these mugs will keep your coffee warm while you are reading the Wall Street Journal, color coding your day planner, or organizing your junk drawer. The neat freak will also seek perfection to fill his/her ceramic goblet - dosing out the perfect measurements for their aeropress or re-boiling water if it drops below 180 degrees. To the neat freak's demand, plain ceramic mugs are clean and aesthetically pleasing when stacked inside your kitchen cabinet. 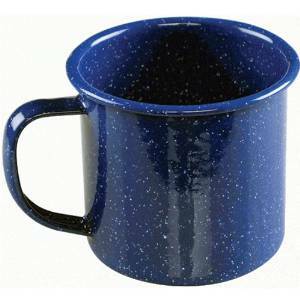 They are simple and the traditional mug of choice amongst Joe-Drinkers. If you're a little OCD like me, you say, "Bring on the monochromatic, bring on the ceramic, and most importantly, bring on the coffee!" You're probably a Workaholic if you didn't make it this far in the blog post because you had too many emails to answer. Perhaps the workaholic is not the most eco-friendly. . . But who has time for that? You're constantly on the move. You're rarely sitting down and find that for some odd reason, your inbox never seems to be fully read. Your workday likely starts before 7am and ends long after appropriate dinner hours. The disposable cup allows you to grab your coffee and go - whenever and wherever you are. 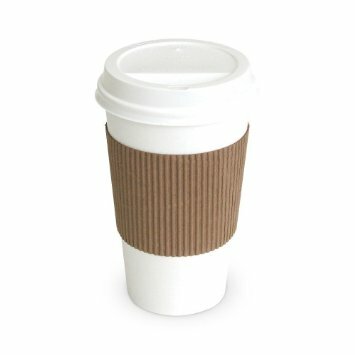 While it might not keep your drink hot for long, it doesn't matter because you've already finished your brew long before the steam had a chance to cool. To the Workaholic, it doesn't matter what the coffee looks or tastes like as long as the double shot of espresso does its job because it's already 10 p.m. and you have a proposal due in the morning. While it sounds a lot easier to run to the closest Starbucks or Dunkin Donuts for your immediate caffeine fix, why not try a craft coffee? You work hard, why not treat yourself before, after, or during the work day? Stop for a moment and realize that great coffee need not be rushed. Joyride has partnered with some of highest quality roasters around the country who believe your coffee experience doesn't have to just be for an energy boost! It can also taste good; imagine that! You're definitely a millennial if you've made it this far in the blog post and are thinking about sharing this on your friend's wall. Like we said earlier, you're definitely a millennial if you find yourself procrastinating work by reading this listicle because Pokemon Go just isn't an appropriate option for the office. Chances are you Snapchat just about everything you do: from your commute to work, to the puppy that visited the office today, to the shameless picture of your avocado toast (and no I did not purposefully try to describe my current Snapchat Story, I'm just that predictable). When it comes to your coffee cup of choice, don't worry Millennial, you're anything but a disposable cup. You know that coffee isn't just for necessity, its for the experience, the pleasure, and the aesthetic. Mason jars with fresh cold brew, tea, or even water, are clean, eco-friendly, and above all, Instagram-worthy. If you're drinking out of mason jars your most likely not a typical instant coffee drinker. Instead, you're all about the craft coffee experience and your newest obsession: cold brew coffee. Out with the archaic iced coffee and in with the revolutionary, velvety smooth, and carefully crafted cold brew. Mason jars with fresh cold brew are clean, eco-friendly, and are unofficially approved for every form of social media. If mason jars could speak they would say, "You're about to drink some damn fine coffee, so look damn fine while doing it." You may be the World's Best Boss. Or you may find yourself quoting yourself, quoting Wayne Gretzsky (see below). If you find yourself in the latter situation, take a look at the five other mugs listed above and see if any of those descriptions work out for you. 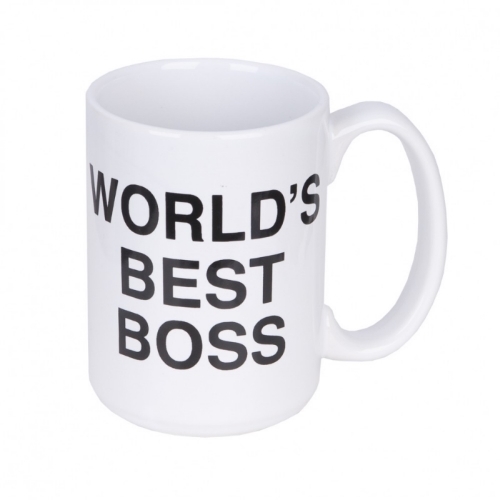 However, if your adamant about using this mug, make sure your office's assistant TO the regional manager orders office coffee fitting for the World's Best Boss! Drink Coffee Like A Pro. Learn More Here.